There are numerous health benefits of probiotics and prebiotics in the well being of a person. Recent studies have shown that both play a key role in promoting various digestive processes and preventing disease. 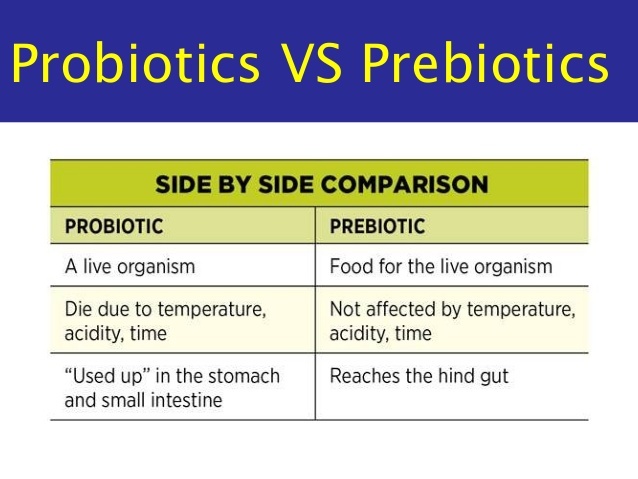 Probiotics are live microorganisms which aid the digestion of food. People call them “beneficial bacteria” because they help the digestive system process complex sugars in the food we eat. Bacteria do the work of breaking down the fiber and complex sugars in our diet from vegetables and fruit. Bacteria convert the fiber in the diet to nutrients and vitamins which our body uses for a number of different functions. They also protect the intestines from other harmful bacteria which can cause diarrhea and ulcers. Prebiotics are nutrients that are used as an energy source by the beneficial bacteria that naturally live in your intestines. Some nutritionists describe them as bacterial vitamins. They stimulate the beneficial bacteria in the gut while suppressing the bed ones which cause infection and diarrhea. It is believed that probiotics and prebiotics help maintain a healthy chemical environment in the digestive tract. While probiotics are beneficial organisms which protect the lining of the digestive system, prebiotics help sustain a healthy chemical and biological balance of the gut. Prebiotics help maintain an optimal chemical acid-base balance in the colon and large intestine. This is important as too much acidity in the colon can damage its lining. Probiotics, on the other hand play a role in neutralizing toxins and carcinogenic substances in the colon. Studies also have shown that a combination of prebiotics and probiotics are effective against nutrition related diseases like obesity and diabetes. It is thought that compounds produced by the interaction of prebiotics and probiotics help suppress glucose in the blood in diabetics, enabling the body to cope with the lack of insulin. In the case of obesity, one study found that patients lost a total of 10 pounds after regularly tooking a combination of prebiotic and probiotic supplements. Foods rich in prebiotics include kiwifruit, bananas, wheat products and oats. Probiotics are mostly found in yogurt and certain cheeses. People can also take daily supplements with both prebiotic and probiotic extracts.